Krsnacandra Dasa – Vrndavan: ‘A picture paints a thousand words’ The photograph of His Holiness Hridayananda Goswami exemplifies the Modernist Liberal Guru/Sanyasi of today’s ISKCON. This is NOT the result of forty years of following the pure devotee AC Bhaktivedanta Swami Srila Prabhupada. This is the result of a 60’s Frankfurt School (see Geopolitics) trained youth who has come from a Jewish background and ended up as a Sanyasi of the renounced order of life in the Gaudiya Vaisnava tradition. His life has nothing much to do with Srila Prabhupada and his teachings. It is all about him (Howard Resnick AKA Hridayananda Goswami) and his wants and desires. 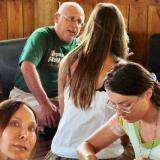 Devotees like this make a mockery of Krsna Consciousness, ISKCON, our endeavours to serve Srila Prabhupada and our struggle to become Krsna Conscious. If you look closely at his face (see photo – ‘I support the Gurus’) you will see the face of a person who is perfectly comfortable with his life and sees no ambiguity or hypocrisy. He feels no shame being a Sanyasi who represents the most important Spiritual Movement on earth as he smiles for the photo in his karmi attire. He is not the exception he is the rule. The others may not have such a nice collage of snaps of his daily life but they have all fallen down in one way or another. 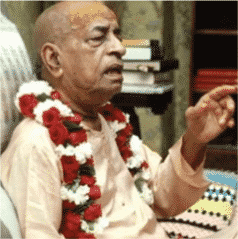 They have all, every last one of them, betrayed Srila Prabhupada by taking on the position of a Guru or GBC. The Gurus and GBC men have all failed to act as disciples and followers of Srila Prabhupada and the result of this is that devotees who have taken shelter of them have not been trained to recognize true spiritual realization or activities. In fact an ISKCON Sanyasi backed by the instructions, training and example of Srila Prabhupada would stand against such behaviour. Not one of these FISKCON Sanyasi Gurus have done that, instead they have chosen to protect each other, at the expense; of the members of the devotional community and the good name and hard effort of Srila Prabhupada. They, however are very bold and aggressive to vilify the whistle blowers or victims, and the only direct action they take is to amend and enact laws to protect their criminal and/or deviant buddies in the various Corporate FISKCON Franchised Guru Maths (little Prabhupadas). Everybody who is materially conditioned wants to try and lord it over material nature and if by ambitious design they happen to get the opportunity to obtain a position of authority the unintelligent rascal will use it to their own advantage. A person once they come in contact with the Pure Devotee will have a choice; to either serve the Pure Devotee or to, in some way, use the Pure Devotee to serve them. 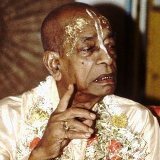 The discriminating soul can easily distinguish between the ISKCON of Srila Prabhupada and the FISKCON of the imposter Rubber Stamped Gurus and GBC who have chosen to serve themselves. 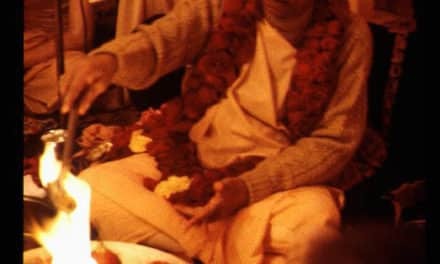 Radhanath Swami is a prime example of an opportunistic selfish egoist who took full advantage of his connection with Srila Prabhupada to launch his career. Radhanath’s disciples most of whom hail from highly educated or the bourgeois rich have never used their independent intelligence to discriminate between Radhanath and Srila Prabhupada. 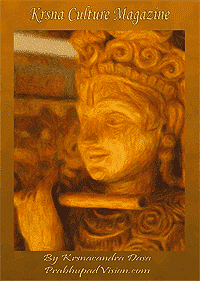 To them Radhanath is the same as Srila Prabhupada. They have either been ignorant, or apologetic of his past offensive and criminal behaviour and his blatant demeaning of Srila Prabhupada. They rationalize his past by believing that they don’t care about his past for in the present he is a ‘pure devotee’. They base their opinion on pure sentiment as if it is ‘a priori’ that Radhanath is a pure devotee when they have no evidence to support these claims. In fact the evidence suggests otherwise. Srila Prabhupada wanted us to be independently intelligent not independent of our intelligence. This is Sahajiyaism. These so called gurus are envious of Srila Prabhupada for he is a pure devotee, a nitya siddha, and they are the eternally conditioned, jiva baddha. They began their careers of ‘acharya gurus’ when some of them were not more than ten years in the movement. They also received their appointment as an official position within the FISKCON infrastructure, similar to a District Manager being appointed by a Fast Food chain. The amount of guru fall down should suggest to the intelligent that this system is wrong. Chaitanya Kripa Prabhu you are right I am not a pure devotee, my soul is black and that is why I take shelter of Srila Prabhupada as much as I can and not the FISKCON gurus. Because I am all of these things I cannot see all the qualities of Srila Prabhupada but I can definitely see another person whose soul is also black and is an imposter guru who does not take shelter of Srila Prabhupada. I am not asking devotees like you to take shelter of me I am sincerely begging you to take shelter of Srila Prabhupada and rid your attachment for these ‘putana gurus’ of FISKCON.